Lil Learnerz are here to help your toddler hit the next milestone - potty training! When your little one is ready to leave the diapers behind but still needs help and protection, Lil Learnerz will become that essential aid. 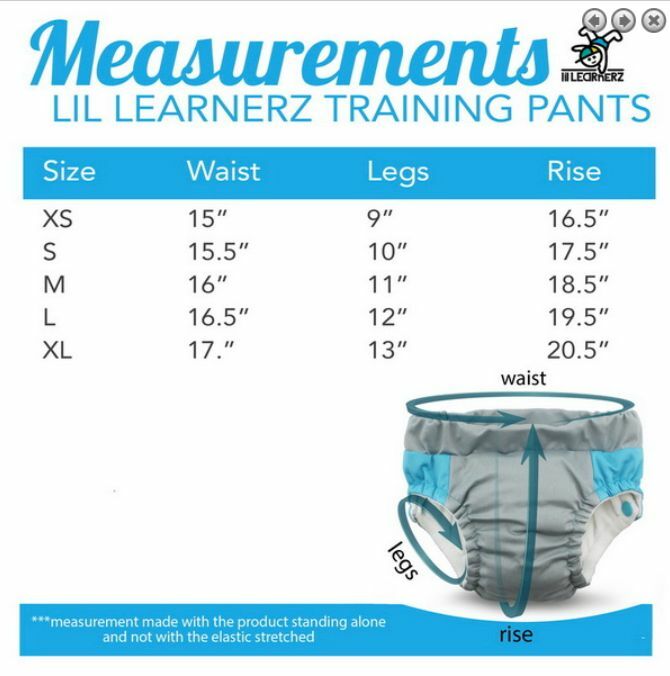 Lil Learnerz look like big kid underwear and come in multiple fun prints and vibrant color combinations. Lil Learnerz are made with IMWET TECHNOLOGY™! This feature lets your toddler feel wet when they have had an accident. This helps them learn more about their body and aids in the potty learning process. Lil Learnerz are breathable and soft with a hypoallergenic layer that rests against your child’s skin. Lil Learnerz are also waterproof and can hold a heavy accident with no trouble. The inside is made up of an absorbent, dual layer, microfiber core. Lil Learnerz are easy to pull up and down by your little learner! Just like real underwear! Please do not use laundry additives such as bleach, Oxiclean, Borax or Bac-out to wash your Kanga Care products.